Olaf Kammerer ist Managing Director of DELTACON Nürnberg GmbH Executive Search & Recruiting. He is responsible for the Competence Center Electrical Industries, covering automation, motion & drives, sensor and test, power supplies and EMS. In these industries, he is specialized in the search and selection of technical experts, middle management and C-level positions across all functional areas like finance, hr, marketing & sales, research & development and supply chain management. 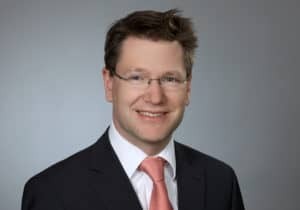 Olaf Kammerer has more than 10 years experience in various management positions in the electrical industry, among other as managing director and head of sales. Main focus of his career have been to achieve profitable growth as well as restructuring of sales organisations. The recruiting of excellent teams of employees and managers as well as directed leadership were the main contributing factors to his success. Olaf Kammerer hold a masters degree in international business administration from the Friedrich-Alexander-University of Erlangen-Nürnberg.